There’s nothing quite like a Texas tan, earned from a day spent out in the sun or on a ranch. While some have no trouble soaking up the rays by simply going through their everyday life, others might need a little assistance from time to time. That’s when tanning salons come in. Get that perfect bronzed look at the following 10 best tanning salons in Texas. E-Z Tan in Houston, Texas promises “the very best result in UV or Spray Tanning,” according to their website. Tanning equipment includes the Sun Angel, High Pressure, Perfect, Basic, and more. Pick the tan that’s right for you and get to it. At LUX Tanning Spa, first-timers can schedule an appointment or simply stop in for a complimentary session. It’s the perfect way to check out all they have to offer. We recommend trying “The Experience,” which begins with a glass of champagne or bottled water, a tan, and a chilled eucalyptus towel to end the session. Stop in to their Highland Park or Addison locations. Hush Hush Tan promises that no one will ever know you used their equipment. It’s that good. They use all-nature products to create a healthy glow without any of the strange orange-ness that can come with less-than-quality tans. 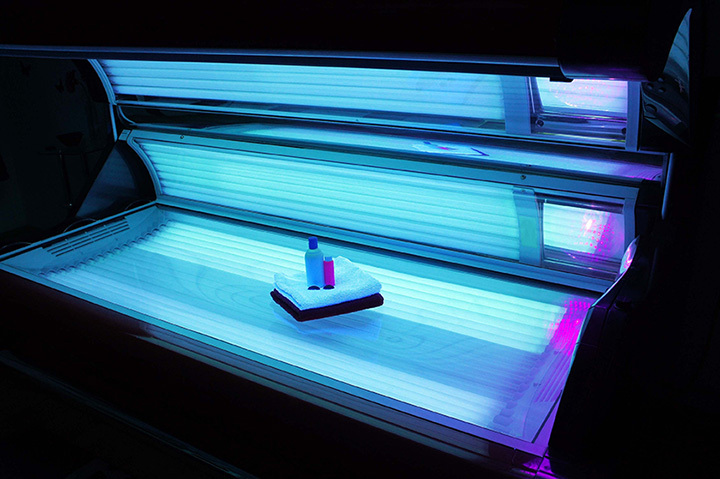 Beyond the Sun Tanning in San Antonio, Texas offers red light therapy, VersaSpa spray tanning, and UV bed tanning. Don’t worry about making an appointment; you can simply walk in during business hours Monday through Saturday for a near-perfect tan. Aruba Sunspa has spray tans. They’ve got tanning beds. They’ve even got red light therapy machines and saunas that can help you burn up to 600 calories per session (that’s a lot of calories). Check out their website for pricing information and to book your first appointment. Martini Tan in Fort Worth, Texas offers five different levels of tanning from high and low pressure and airbrushing. They carry well known tanning brands like Hempz, Devoted Creations, and Designer Skin, among others. Whether you’re in the mood for a spray tan, a tanning bed, or a tanning package, Tanfastic in Waco has the solution for you. Tanning packages include monthly memberships, unlimited monthly memberships, and single sessions. Maui Tanning in McAllen, Texas specializes in airbrush spray tanning, as opposed to tanning beds. According to their website, “in just 15 minutes you can achieve the same results as six tanning bed sessions or many hours in the sun.” If you’re pressed for time but want to look your best, Maui is the place to be. Tan Artistry promises to make you bronze and beautiful without the need for the sun. They only use 100 percent natural spray tans for a “flawless, healthy, long-lasting spray.” They customize every spray blend per individual, giving you the perfect look. Sol Tanning Salon Spa has two Texas locations, one in Kingwood and another in Atascosita. Each offer UV tanning beds, teeth whitening, and sunless tanning. Check out their website for a compelling before and after video to see the results of their tanning tech for yourself.